Affordable rent in a very practical location with average amenities and great staff. The appliances, carpeting, and other features of the apartments are what you would expect based on the price. This complex has been really great so far. Had a few appliances and things that needed to be fixed upon first moving in, however, these things got fixed rather quickly. Great people, Great Staff. I have really enjoyed my stay at Campus Pointe. My roommates have been awesome and they did a really good job at matching us. I’ve enjoyed living here so far. It’s been very peaceful & all the people in the office are friendly which also makes it that much better. The occasional community events at the office also shows that the Campus Pointe’s appreciation for their people. Really awesome living spaces especially for students. There have been very few issues and all are resolved quickly. I️ just wish that recycling was available. I’ve lived here for 5 months with my two sons. It’s at a very convenient location with more amenities than I imagined for a smaller apartment complex. Having acces to a pool, hot tub, fitness center and tanning bed for free are all perks I enjoy. The bus for ECU comes right to the complex every 30 min on schedule. I haven’t had any issues with neighbors or maintenance. I love it. Its been a wonderful experience moving to campus pointe. So far everything has been more than great. It’s spacious, affordable and a great location near work and anywhere I need to be. Real good service. Only downside so far is just the little things from the last tenants. Besides that, the gym is my favorite part of the place. The main light in my room doesn’t work since I have moved in. Other than that I enjoy living here with the spacious room and outdoor environment to walk the dog. It has been very nice living here for the past year and a half. The area is very nice and quiet with very useful amenities that I appreciate. The staff is also very kind and helpful. Great place to live... nice people and friendly staff. Big closet place and homely apartments. Quiet and nice neighborhood. Everything you need to make it a home. My resident experience has been great so far. The people who live around me are awesome, the front office people are always there to help if I need it. They even know me by my first name! Great management and maintenance staff. Always willing to answer any questions or concerns. A small, beautiful campus; peaceful and pleasant area to call home. I've been here for a few years and I've never found a better community of people to live in. From the amenities and events to even things like maintenance, I've always been able to count on comfortable living at an affordable rate. I really like my community. It’s quiet, friendly and everyone stay in their own lane. The maintenance is very keen and keeps the community nice a clean. The front office staff are nice and greet you with a smile each time you visit. Overall nice and quiet community, and the office staff are very friendly. Only challenge is there is only one maintenance guy and a assistant which means there is a wait for maintenance orders. I am really digging this location. I love Campus Pointe. The staff are friendly and very professional. It is a very cool and a very laid back kind of place. I like it a lot. Moving from North Campus to here has been very successful and satisfying. 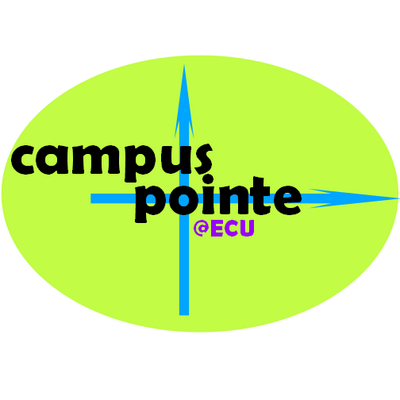 Campus Pointe is well maintained and the staff has been super friendly so far! I really like Campus Pointe for multiple reasons. The layout of my apartment is easy and convenient, my roommates and I can easily socialize and cook in our living room as well as hang out in our own rooms without disturbing one another. If I could change anything it would be a little more counter space in the kitchen and a different color on the walls other than that stark white, or different overhead lights to contrast the white walls. Overall. A great place to live! There's nothing like walking back from the bus and seeing a tie-dye pool party going on. Campus Pointe is a wonderful place to live; they're super-responsive to maintenance requests, the property is quiet, and they've been more than willing to help me in any situation. When I was rear-ended, they let me keep my totaled car on-property, and even helped me get the glass out of the back.